My last week in Phnom Penh is getting more and more exciting. First, school is ending this week, my reports are all done, our bags are packed for our trip to Pi, and last I happened to watch the movie premier of X-Men First Class with my husband last night. For some, it may not be that exciting but for me, this is something I look forward to and it’s such a splendid feeling to accomplish things right before we leave. In my previous post, I have mentioned that I got 2 free ‘premier’ tickets from Legend Cinemas Cambodia for the movie X-Men First Class and prior to watching it, most of my friends have told me that it’s really a good movie. Well it really is! Nestle and I were 10 minutes behind schedule when we arrived at the cinema and I felt a bit disappointed, because I wasn’t able to see the intro of the movie. For me seeing the introduction gives more thrill and spice to the story, plus it’s really important to arrive at least 15 minutes early at the cinema to avoid disturbing other patrons who are already settled in the seats. This is a true origin story showing how Charles Xavier and Erik Lensherr first met and how they worked together until the formation of their divergent ideologies led them to create warring mutant factions. 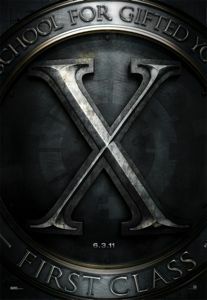 After watching the movie, I began to understand more how X-Men had evolved. I’ve been a fan of X-Men since I was a kid and I really love Storm. Matthew Vaughn did a fantastic job in directing the movie and it’s epic!